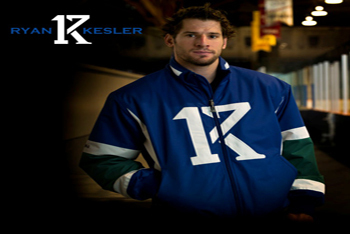 Power forward for the Vancouver Canucks, Ryan Kesler is becoming one of the big names in the NHL. 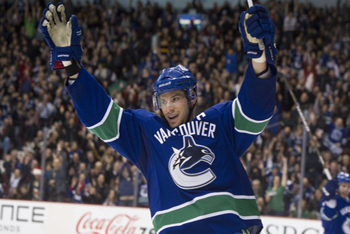 Ryan is definitely a star in Vancouver where he carried the Canucks on his back to the Stanley Cup Finals in 2011. Let’s find out how this glamorous dude became such a big hockey star! 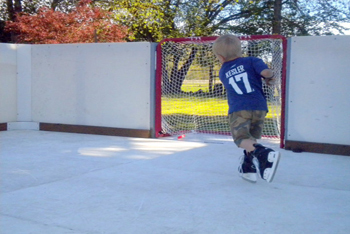 Ryan started his hockey career in a small suburban city outside of Detroit, Michigan. It’s tough to make the NHL if you live in the States, so Ryan enrolled in a US National Team Development program to help get him into competitive hockey. 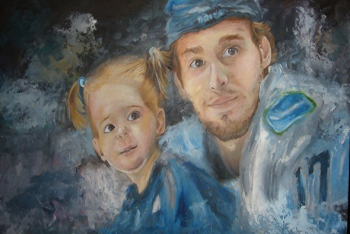 Ryan bloomed into a great hockey player and went to college, playing for the Ohio State Buckeyes. Ryan was drafted into the NHL when he was only 19 years old. 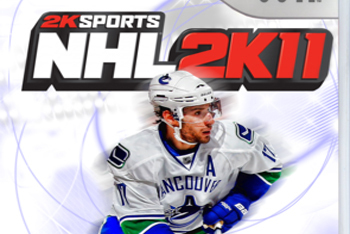 The Vancouver Canucks picked him up in the first round and he was the 23rd pick overall. He played a short time with Vancouver’s farm team, the Manitoba Moose. Ryan is a pretty cool dude. He is very active online with his own twitter, website and facebook page. One of the most interesting things about Ryan is that he has his own clothing line. It’s called RK17 and it has a pretty creative logo.